First day of lent done. Oh my god, dairy is in everything. 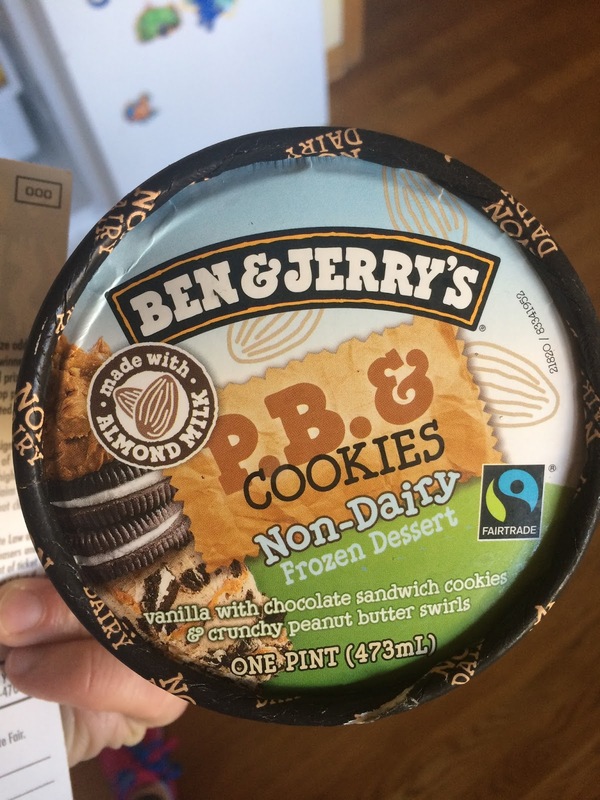 Except this, which a dairy-free girl at work told me about (I promptly ran to the store after finishing my shift). I’m not even that into ice cream anymore. Sure, at one time it was my Achilles’ heel, but now I associate ice cream with that time I was fat and uncomfortable and that makes it less desirable to me. But once I decided I wasn’t going to have dairy, I craved it. You want what you can’t have. The no-social-media part is going better. I have gobs of time now. Little bits of time that I used to waste are now at my disposal. Yesterday I read and edited and practiced yoga, all before lunch. I was more involved with my kids. I even cleaned the bathrooms, which I rarely do. I hadn’t realized how much my productivity had slipped until I had a day of it back. 45 more days. Not that anyone’s counting. It’s not like I’m already planning myself little concessions on this no-dairy thing, for my birthday meal, a cake for my boys’ birthdays. Why is lent during our month of birthdays? It will all work out. I will get real familiar with almond milk.